The bill of divorce. What is it and why is it needed? And if you think that this is some shallow man/wife type of divorce then read on. This guy Eric Turner sums it up nicely. “The House of Israel was given a certificate of divorce. Jer 3:8 And I saw, when for all the causes for which backsliding Israel committed adultery, I sent her away and gave a bill of divorce to her, yet her treacherous sister Judah did not fear, but she went and whored, she also. The Torah forbids her to remarry her husband once she has been defiled and divorced for adultery. Her first husband that she was divorced from has to die in order for that covenant to be broken. Deu 24:1 When a man has taken a wife and married her, and it happens that she finds no favor in his eyes, because he has found some uncleanness in her, then let him write her a bill of divorce and put it in her hand, and send her out of his house. 2 And when she has departed from his house, she goes and becomes another man’s; 3 and the latter husband hates her and writes her a bill of divorce and puts it in her hand and sends her out of his house; or if the latter husband dies, he who took her to be his wife 4 her former husband, who sent her away, may not take her again to be his wife after she is defiled. For that is hateful before Jehovah. And you shall not cause the land to sin, which Jehovah your God gives you for an inheritance. YHVH could not legally remarry the House of Israel because she had gotten remarried to Pagan religion, so he had to come in the form of a man and die to break the covenant that he first gave to the House of Israel. He died to redeem the House of Israel from her adulteries by dying for her sins, specifically adultery. Paul teaches us this in Romans 7. Rom 7:1 Or are you ignorant, brothers; for I SPEAK TO THOSE WHO KNOW THE LAW; that the law has dominion over a man AS LONG AS HE LIVES(Deut. 24)? 2 For the married woman was bound by law to the living husband. BUT IF THE HUSBAND DIES, she is set free FROM THE LAW OF HER HUSBAND(Not the Laws of Moses). 3 So then if, while her husband lives, she is married to another man, she shall be called an ADULTERESS(Deut. 24). But if the husband dies, she is free from the law, so that she is no ADULTERESS by becoming another man’s wife. 4 So, my brothers, you also have become dead to the law(The law of adultery, Not the Laws of Moses) by the body of Christ so that you should be married to Another, even to Him raised from the dead, that we should bring forth fruit to God. The very first verse states that he is only speaking to them that KNOW THE LAW. If you do not know the Torah/Law, you can’t understand what follows, but as you see, when you know the Torah/Law, you can see that Paul is by no means saying we are dead to the Torah/Laws of Moses, but from the penalties of ADULTERY(Which was mixing pagan customs with the worship of YHVH). HE HAD TO DIE TO REDEEM THE HOUSE OF ISRAEL from her adulteries. This is the greatest love story never told. This is exactly why Yeshua/Jesus says this. Mat 15:24 But He answered and said, I am not sent except to the lost sheep of the house of Israel. Some insist the harlot is Rome or the USA or Mecca or literal Babylon (Iraq). It doesn’t seem to read like that in scripture though does it? The harlot is Jerusalem and always has been. God loved and set a part one city for His own redemption, Jerusalem – the city of peace. But it has all changed because she has left her first love and signed her divorce through the form of apostasy. Scripturally speaking, God never loved Rome, the U.S. or Mecca. 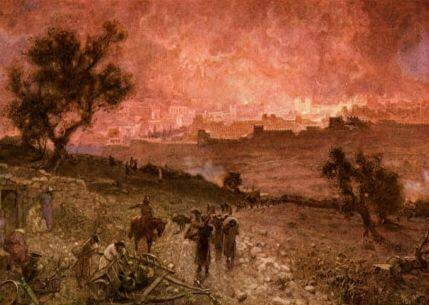 Let me ask you this, who was behind Jerusalem being destroyed by Babylon and Rome? Was it Gods hand being accomplished through them? 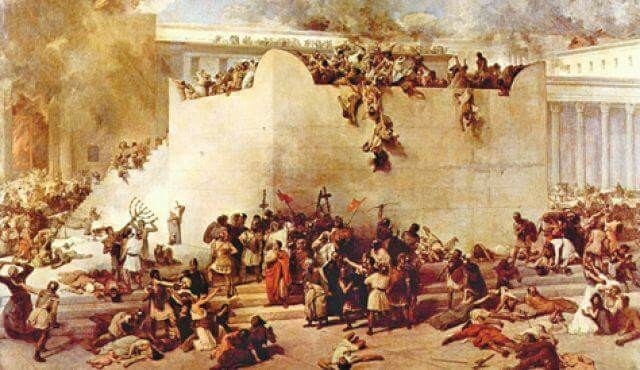 Jerusalem was destroyed at least twice and made desolate both times during the 1st and 2nd temple period. The third desolation won’t be any different. Jesus wept over Jerusalem not Mecca or medina. Read Isaiah 52:17 on. Cup of trembling is what Jerusalem is. They are giving the “wine” and made drunk only to be destroyed and then the cup is given to her enemies. This parallels Revelation. 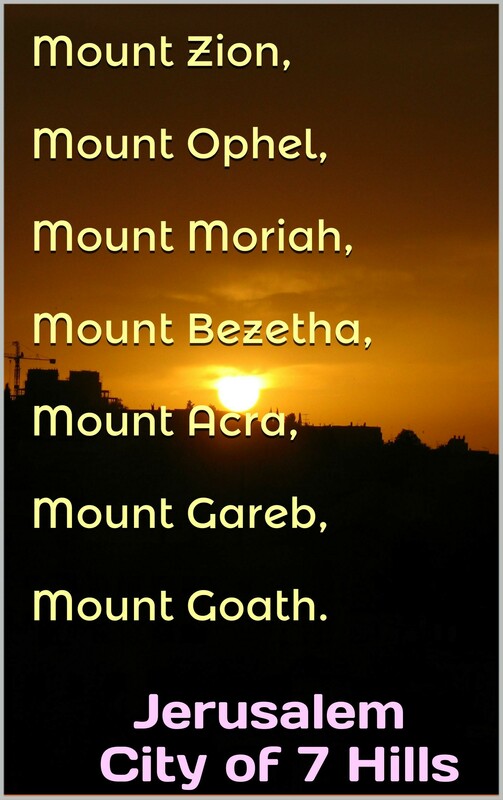 In order for the ac to set up his tent/tabernacle on the glorious mountain between the seas (Daniel 11:45) it needs to be desolate first. And consider this for those who hold to a Mecca harlot. Name one people/country that invaded another country in history that set itself up within that country before it was obliterated? I can’t find one. It needs to be destroyed first. And why would the man of sin, who some say is a Muslim, would then go and destroy Mecca who some say is mystery Babylon. Makes no sense. Why would he destroy his own place of worship? Especially if the man of sin keeps his form of worship, which is Islam. That makes no sense whatsoever. So physical Israel is divorced from God for good reason. 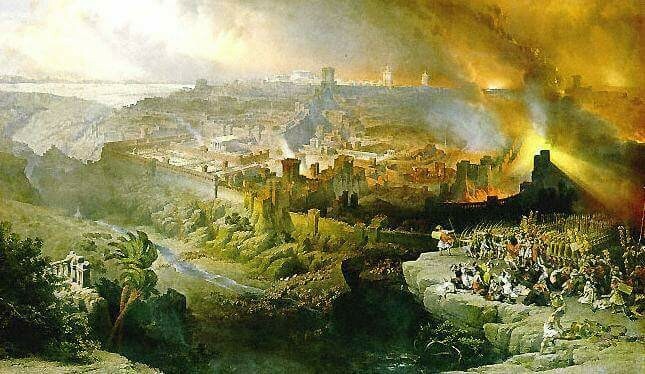 Jerusalem is the ESCHATOLOGICAL city Mystery Babylon. Need some proof? Ask yourself these questions then pick up your Bible to exegiate scriptures. I suggest you take the time to get your Bible out and see for yourself. If you need some help then take a look at these articles. Mystery Babylon is Jerusalem. No doubt about it. ⚠I WAS IN DENIAL, but AMEN, scriptures confirm Israel is the harlot of Babylon. ** BRACE YOURSELVES MY FELLOW JEWS. YOU MUST COME TO BELIEVE IN CHRIST JESUS, HASHEM’S SACRIFICED SON FOR REDEMPTION. This is the Almighty’s NEW COVENANT. ACCEPT JESUS CHRIST (Rabbi Yeshua) AS MESSIAH BEFORE IT’S TOO LATE. ℹ➡Thank you to “HIDDEN IN THE CRAG” for helping me to open my eyes so that I may “see” truth.